On Monday, the Kisatchie Fly Fishers hold their monthly meeting at the Rapides Westside Library in Alexandria. Time is 6:30pm. For the program, members of the club's Coldwater Committee will lead a discussion on "Gearing up for coldwater fishing" with emphasis on Arkansas and Oklahoma trout waters. The public is welcome. For details, go to www.kisatchiefly.org. Also on Monday, the Red Stick Fly Fishers will hold their monthly fly tying session at the Bass Pro Shops in Denham Springs. Time is 7:00pm. Bring your tools, if none, the club has sets for use during the session. Materials are provided. For more, go to www.rsff.org. On Thursday, the New Orleans Fly Fishers hold their monthly meeting at Lakeshore Marina and Fuel across from the Blue Crab Restaurant on Lakeshore Drive. Time is 7:00pm. 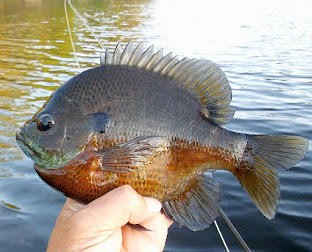 On the agenda: the club's upcoming expo on April 6th, fishing reports, Big Year contest and more. For more info, go to www.neworleansflyfishers.com. Also on Thursday, Pack and Paddle will host a seminar "Secrets of Successful Kayak Tournament Fishermen" at their store on 601 East Pinhook in Lafayette. Presentors will be Steve Lessard, two-time Hobie World Champion, and Brendan Bayard, IFA Angler of the Year, Hobie AOY, and multiple BCKFC tournament champion. This year's format is different in that the session will be divided into four special topics. Admission is free. For more details, go to www.packpaddle.com. Saturday is the Red Stick Day fly fishing festival in Baton Rouge. More on that later. Also on Saturday, Pack and Paddle will hold another "Fly Tying Level 1" clinic at their store on 601 E. Pinhook in Lafayette. Time is 9:30am to 11:30am. Cost is $20. Covered will be fly tying tools and how to use them, followed by hands-on instruction on tying two flies effective for Louisiana. For details, go to www.packpaddle.com. This Saturday is the 27th annual "Red Stick Day" fly fishing festival, which this year returns to the LDWF Waddill Outdoors Education Center on 4141 North Flannery Road in Baton Rouge. Time is 8:30am to 3:30pm. Admission is free. 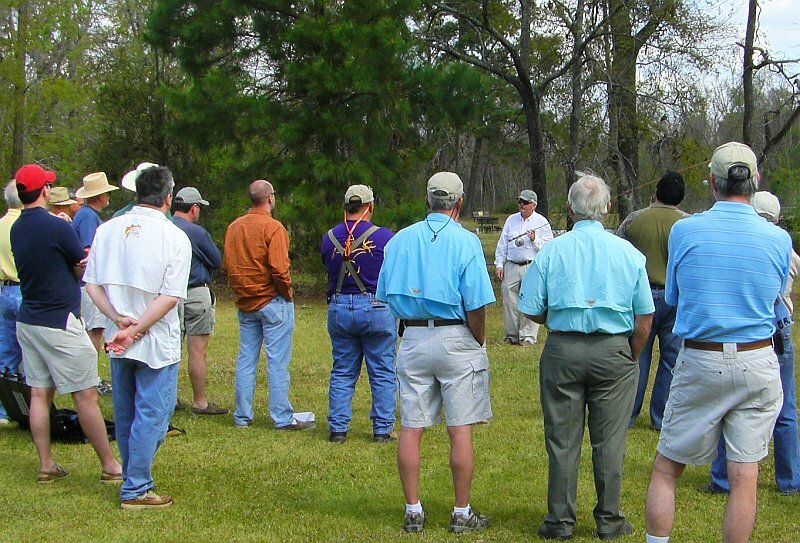 Hosted by the Red Stick Fly Fishers of Baton Rouge, Red Stick Day is the largest and longest-running event of its kind in Louisiana. 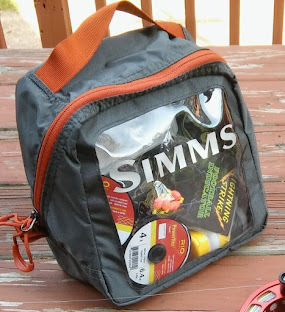 Originated by the late Lynn Tolleson, a founding member of the club, the event has featured some of the biggest names in fly fishing such as Gary Borger, Jason Borger, Ed Jaworoski, Chrystal Murray, Craig Mathews, Nick Curcione and others. In recent years, it's featured some of the rising stars of our sport, such as Zach Matthews and Ben Roussel. Red Stick Day also routinely features some of the most renown tiers in the country, several of whom have been featured in books and magazines. Those include Fred Hannie, Kirk Dietrich, Ted Cabali, Ron Braud, Ed Lash, Bob Lemay, Bill Laminack, and others. The casting sessions have featured headliners as well as Fly Fishers International Masters and Governors level instructors. This year's lineup of speakers include: trophy speckled trout master Vic Tedesco, Tennessee tailwater trout guide Jim Davis, and Orvis travel expert Ian Huang. Conducting the casting clinic is Jay Clark, an FFI Master Instructor, member of the U.S. Casting Team, and world casting competitor. While the programs, fly tying demos, and casting sessions appeal to both beginners and experts, many attendees enjoy the great food, comradery, and fishing on premises. There's also one of the largest raffles of any event in the Southeast, which raises money for the club's various educational and conservation projects. For more info, including a schedule of activities, go to the Red Stick Fly Fishers website at www.rsff.org and click on "Red Stick Day". The Acadiana Fly Rodders held their February meeting this past Thursday at their new meeting location, Pack & Paddle in Lafayette. Keith Richard thanked PnP owners John & Becky Williams for the generous use of their facility. He also thanked Bob Tabbert, Beverly Vidrine and Rick Latiolais for their work in guiding the club the past year. Newly elected officers for 2019 are Keith Richard (President), Rick Latiolais (Sec. Treasurer), Jay Clark and Flip Siracusa (Program Co-Chairs). Several activities are being planned for the year, as well as topics for meeting programs. The club will also continue their support of Reel Recovery. Keith also mentioned that his website www.TheCampFlyFishingSchool.com now has over 65 instructional videos reviewing fly fishing and fly casting. It's a free resource to anyone to use. The Acadiana Fly Rodders meet every third Thursday of the month at Pack & Paddle in Lafayette. Meeting time is 6:00pm. On Monday, the Kisatchie Fly Fishers hold their monthly fly tying session at the Rapides Westside Library in Alexandria. Time is 6:30pm. This month, the group will tie the Mop Fly and the Squirmy Wormy. Beginners are welcome. Bring your tools, if none, the club has a few sets for use during the session. Materials are provided. For more info, go to www.kisatchiefly.org. This Friday thru Sunday is Troutfest 2019 annual fly fishing festival at Lazy L&L Campgrounds in New Braunfels, TX. Sponsored by, and benefitting the Guadalupe River Trout Unlimited. Friday evening is the banquet, Saturday and Sunday are Expo days. One of the largest fly fishing events in the South, featuring fly tying, exhibitors, casting clinics and demonstrations, and much more. For more info, go to www.grtu.org. On Saturday, it's the 27th annual Dr. Ed Rizzolo Fly Tying Festival in Houston. Location is Bethany Christian Church Community Center at 3223 Westheimer. Time is 8:30am to 3:30pm. Admission is charged. Hosted by the Texas Fly Fishers, this event features the largest group of fly tiers of any event on the Gulf Coast, with anywhere from 70 to 100 tiers. It also features one of the great names in fly tying, and this year's special guest is deer hair specialist Pat Cohen. In addition to tying demos, there are several seminars during the day, as well as casting instruction. 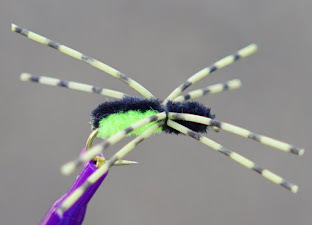 For more details, go to www.texasflyfishers.org. Also on Saturday, Orvis of Baton Rouge will hold another of their "Fly Tying 101" sessions at their store on Bluebonnet in Perkins-Rowe. Time is 2:00pm. FT101 is a free one-day, 2-hour hands-on clinic covering the basics of fly tying. Pre-registration is required as class size is limited. For more info, call 225-757-7286.